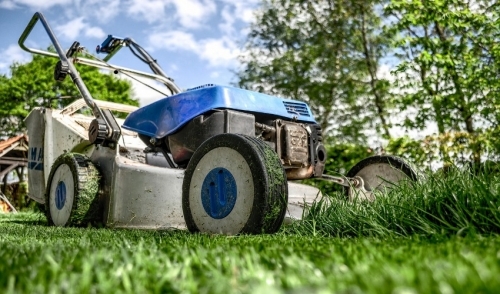 As the warm spring weather breathes life into our lawns and gardens, many folks head out to their shed or garage to dust off their lawn and garden equipment. Unfortunately for some, their hopes of preparing for the work ahead often grind to a halt when mechanical issues crop up. For example, many people find that the tiller they used last year doesn’t seem to want to start. For the same money that they would probably spend taking it to a repair shop, it is possible to rent one that is fully maintained and in tip top shape; ready and waiting to get the garden started. When finished, the homeowner need only return it, no maintenance or storage to worry about. Rototillers are the perfect tool for beginning a flower bed or starting your garden. Rent one in the spring to prepare for planting and in the fall to churn the garden waste back into the soil so it can decompose over the winter. If you are trying to clear up some space for your lawn or garden, renting a Stump Grinder can save a lot of time and effort when removing stumps. If you’ve ever attempted stump removal by hand, you will really appreciate one of these. Need to dig a trench for irrigation, water lines, power lines or more? Renting a Trencher can make short work of this often tedious (not to mention backbreaking) job. To get your lawn underway, rent a De-Thatcher and an Aerator for a full, lush lawn. For spring or fall cleanup a Brush Chipper can turn all of your yard debris into useful mulch for your lawn and garden. As you can see, all of the above equipment is exactly the right tool for the job. It is all expertly maintained and is often the latest models with ease-of-use and safety in mind. For most homeowners, the cost of owning and maintaining all this equipment would not be cost-effective, since they would only be used once or twice per year. Additionally, think of all of the space that would be taken up in the garage or shed for the equipment and the assorted fuels and mixes to keep them running --storage space that is better utilized by more common equipment such as lawnmowers and snow blowers. Lastly, by renting what you need for your lawn and garden, you’ll have the added resource of expert know-how and advice on choosing the right tool for the job and how to use it most effectively and safely.